Let's pause in the middle of this clearly manufactured 'controversy' between the White House and some Catholic leaders over the new rule on providing contraception to consider the following. Yesterday attorney Jeffrey Anderson revealed at least 8,000 children were sexually abused by over 100 priests and other offenders in the Milwaukee Catholic Diocese. Anderson told Judge Susan Kelley that sealed bankruptcy documents gave the true picture of the massive extent of the abuse there. He added that the offenders included 75 priests who have not been previously named by the archdiocese. I bring this up because the disconnect between the church's concern for life at conception as apposed to life-in-process has always been very striking. I'm not the first to have noticed this, of course, but I'm amazed that it continues without censure in the media. It was George Carlin, the Irish American American philosopher who sometimes posed as a comedian, who said the following on the subject. I also bring this up because in America, consistently, I have noticed that our Catholic leaders will froth and agitate and saber rattle over hot topics like access to condoms and family planning, but their ardor flags considerably when it comes to the plight of the poor. 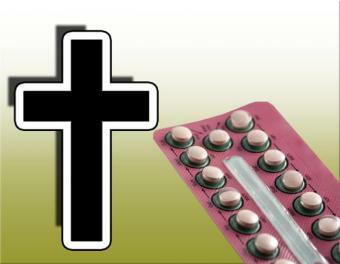 As for the furor over access to birth control, who can claim to be surprised by the Church's stance? Denying women access to contraception is a longstanding part of the Church’s history of the denial of women’s equality with men. It isn't the Church's job to police or control women's reproductive choices. Haven't they had enough trouble trying to control their own clergy?